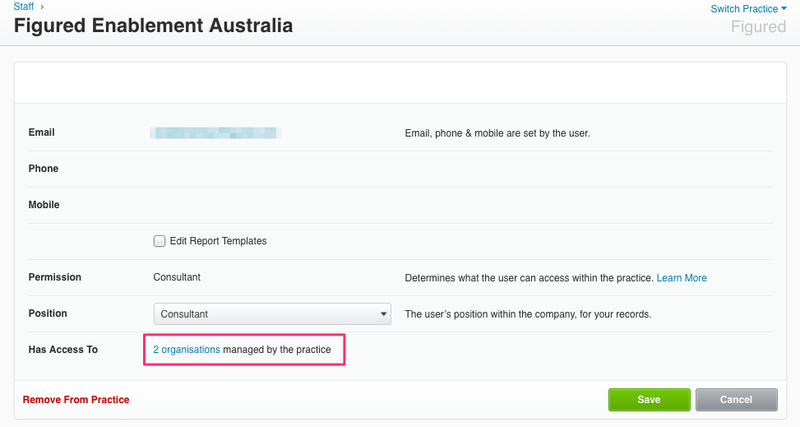 If as part of your onboarding process to Figured you need to grant the team access to a number of your Xero clients at once, then the steps below will walk you through the best practice on how to do that. First, head to My Xero (green Xero) > Staff > Invite a user. Fill in our name as Figured Enablement, email address enablement at figured dot com, and ensure our permission level is set to Consultant. 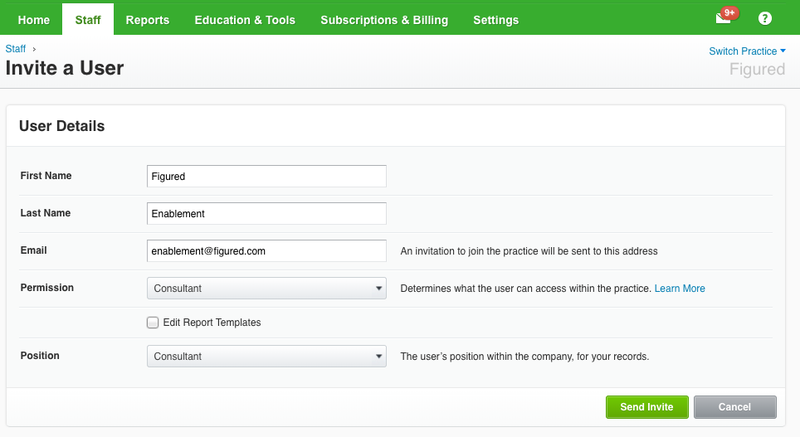 Once you've sent through the invitation, head back to Staff and click on Figured Enablement to open our user settings within the practice. Click through to manage the organisations that we Have access to. The following page will then list all clients you have in your practice. 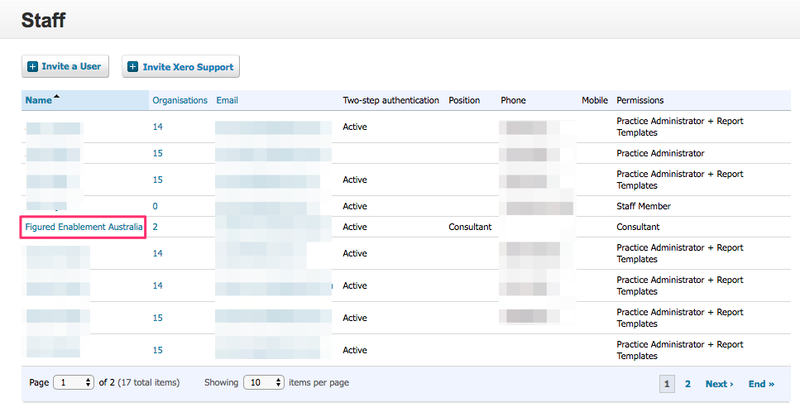 Toggle our role to Adviser for whichever clients you need the Figured team to access for your onboarding. 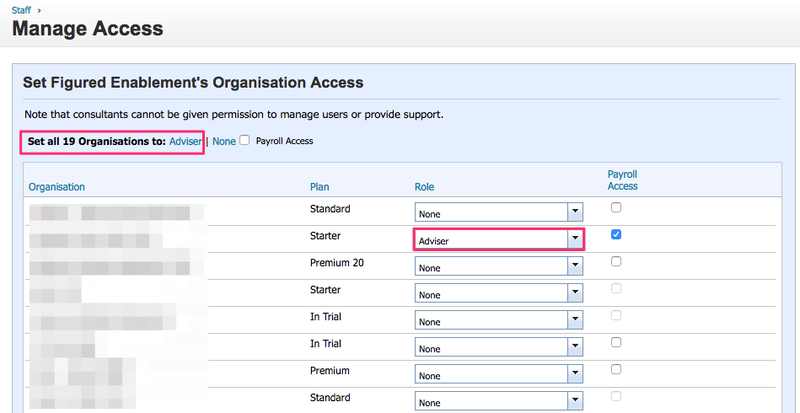 You can also choose to grant us access to all organisations in your practice by using the option at the top. Once you're happy with your adjustments, scroll to the bottom and click Save. The Figured team now has access to these selected clients and can continue with your onboarding process, we recommend revoking adviser access at the end of the onboarding.